Compasses are an important bit of your outdoor kit and are quite expensive too, yet they seem to get a bit neglected sometimes. We all know the benefits of storing your down sleeping bag out of its stuff bag, we are fully aware of the potential effect of washing our technical gear using normal detergent and we know that not getting all the peat off our boots will eventually rot the seams. Well our compasses need a bit of TLC too. 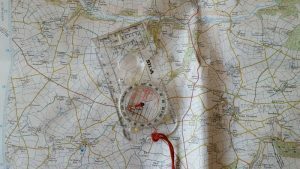 The consequences of having a ‘duff’ compass could be quite serious and you won’t know it’s duff until it’s too late! The first thing to remember is not to keep your compass next to your phone. Your mobile phone contains a magnet that’s strong enough to affect the magnetisation of your compass. 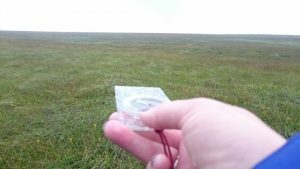 One minute your compass is accurate, then after a few seconds of being in the same pocket as your phone, north is no longer in the same direction! You can remagnetise your compass but I wouldn’t like to trust a compass after this process. Secondly it’s a good idea to not swing your compass round your finger by the cord! The cord is for round your neck or for tying to your rucksack, not for playing with. Teenagers have a nasty habit of this! 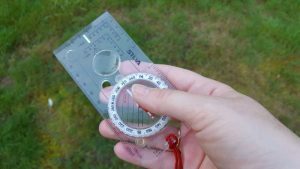 Compasses that are old (or cheap) sometimes get a bubble in the liquid. This means that the needle can’t float properly and the compass can no longer be trusted. Apparently if you put this compass into the airing cupboard the bubble will eventually disappear. I don’t have an airing cupboard so I can’t try this one. Lastly, don’t use your compass when it’s surrounded by metal as this can also affect the magnetisation. Doing a bearing from the comfort of your car before heading out into the wild, wet moors is not a good idea.